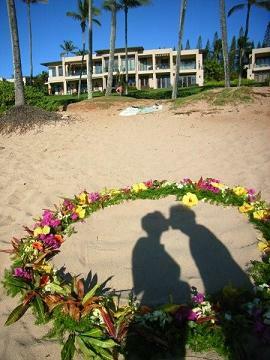 Honeymoon tips to make each day very special...for the rest of your life! - Have you checked when is the best period to go to Cape Town (between November and March)? - How is your travel insurance covering in case of emergency? - Have you booked a double size bed? In South Africa, we even have queen and king size bed...just an idea! - Have checked which view you will get from your bedroom window? - Use and abuse that you are on honeymoon, after all it's just for few days...Spread the words! When you book for accomodation, dinner, etc. Say it! Tell them that you are on honeymoon and watch out! You are going to be showered by surprises which will make such a difference to your time together. -Ask the hotel to organise a stock of candles (with a lighter! )that you could use all over your bedroom during your stay. - Book a massage for two at one of these two spas: Altira or Sanctuary Spa. For more details about the treatments and those I advise you to book, go to honeymoon ideas. -Surprise him/her with a strip tease on "Love to love baby" or just have a slow in your living room on "I will always love you"
-When you go to restaurant, share your meals! or make it even more exciting during a dinner at a restaurant set the rule that you gonna feed each other...It's fun but also allows you to know a bit more about your partner eating habits! I have done it, I loved it! - A fun exercice to do...ask your lover to pick a number between 1 and 50, and shower him/her with these number of kisses!